A little late but never. I still have clients inquiring for services when they are ill. To clarify some issues, please read the following blog on the H1N1 virus and colds. To ease the minds of clients, I want to clarify that I am taking all precautions to keep H1N1, viruses or any disease of out of my office. I do not and never have accepted a client that has a cold, fever, or any form of infection. After each massage the room is disinfected, the trash dumped, and clean sheets are placed on the table. As a massage therapist I adhere to the laws implemented by the state on health and hygiene. As always I wash my hands and arms before and after a massage. Here are some tips what you can do as a client to take precautions for H1N1 or any possible contagious disease you may come in contact with. 1. Cover your mouth when coughing or sneezing. 2. Golden rule: Always wash you hands after going to the restroom or coming into contact with bodily fluids such as mucus, saliva and sweat. You can also use a hand sanitizer to kill germs. 3. If you have a cold lasting more than three days or have flu like symptoms make a appointment to see your doctor. 4. Do not schedule massage appointment if you are ill. Wait until all symptoms have pasted before scheduling your massage appointment. You may schedule a appointment after three days when the symptoms have passed. I will not schedule a appointment with you if you are ill.
5. If you are not showing symptoms of a cold, flu, or infection, it is best to strengthen your immune system. You can also go to your doctor to get a flu shot. Also taking preventive vitamin supplements or medicines prescribed by a doctor can help prevent becoming ill this winter season. Vitamin C, red clover leaf, elderberry, Super Lysine, nettles (sinus and cleaning the blood stream), slippery elm bark (sore throat) are just some that you can get over the counter. Homeopathic medicines like BOIRON, Oscillococcium can help prevent the flu. 6. Try to avoid those that are ill. If you cannot, make sure you follow step five. 8. Stay hydrated, drinking plenty of water and fluids. Do you want a cheap, ineffective and rushed massage session? Would you rather prefer a high quality, effective massage? My business always caters to those that need and require the best in massage therapy. I never have had a issue with competition nor my prices because my business is entirely different from the rest. Keep on reading and you’ll see why. 1. First time client’s receive a free consult over the phone. I prepare a verbal health assessment before and after the massage session. Last but not least you will receive a unrushed and uninterrupted massage session. If you have a certain muscle or medical condition, I research it. This helps me to prepare before working on you. I have been known to learn specific techniques for clients that may have special needs. 2. Quality oils, lotions, and aromatherapy only! Absolutely nothing toxic nor low quality goes on your skin that may cause a reaction. I use pain relief cream called “Relief,” arnica gel (for bruising and stiffness) and white flower oil ( for stuffy noses, congestion.) I have over 20 essential oils and can make a propriety blend for you. Nothing but the best for my clients. Most of the products I use are organic and come from reliable suppliers. 3. I provide homework, follow-up care, a free trigger point therapy ball and instructions on how to maintain your massage. I want you to be a informed client and be proactive in your health care. I will show you how to use the trigger point ball before you leave. If necessary I will show you how to perform stretches on yourself. Plus, I give you bottled water after your session. No charge for water in my business. 4. Upon your request, I will follow-up with you the next day by phone to make sure everything is fine. I care about you. I want to make sure you are better before you came in to see me. 5. If you have questions you can always contact me. If I do not have a answer to your question, I will find the answer. If I cannot help you, I will refer you out to additional specialists such as a doctor, chiropractor or another massage therapist. I want to make sure that you deserve the best in your health care regiment. 6. What a wonderful way to reward frequent clients than with a free birthday massage? Regular clients receive a free one-hour massage for their birthday month. 7. If time allows, additional minutes may be applied to your session free of charge. 8. Complementary hot stones and warm foot booties provided per request. A warm massage table with plenty of cushioning for your comfort. A Boiance face rest cushion is used to reduce sinus pressure while you are prone. I have a variety of bolsters such as a breast bolster for comfort. Warm compresses and hot towels for your session to freshen the skin. I use hot or cold pack for your session, too. Ask yourself, would most massage therapists or establishments take the time to work with you in the way I would? After reviewing, why would you not schedule a massage with me? Please consider what you are receiving from me not be priceless? DOES DEEP TISSUE NEED TO HURT TO BE EFFECTIVE? The answer will vary by any massage therapist you ask. My response is it will greatly depend on multiple contributing factors such as touch sensitivity, the health and condition of the muscle spindles and fascia (connective tissue). Other factors play a part too. The amount of water the client drinks, daily diet and exercise routine. Through personal experience and by being a DT specialist for nearly seven years these main factors play a great deal into pain. A deep tissue massage does not needs to “hurt” to be effective yet you must feel a degree of “good” pain to ensure the muscles are being release properly. Each person is different and how they relate to pain threshold. What might be too much pressure for someone might be just right for another. 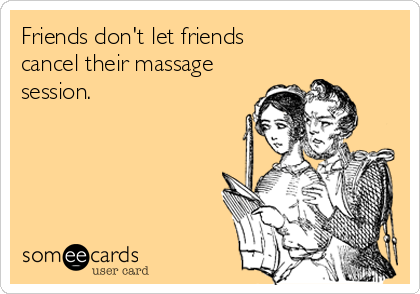 Of course someone that receives massage on a regular basis will not feel sore after a deep tissue massage as opposed to someone that just had their first session of DT. If you have adhesion’s (knots), scar tissue and overloaded muscles, the technique may be uncomfortable. Deep tissue is just one of the many techniques that can release muscles from those afflictions. First I warm the fascia before performing deep tissue. By doing this simple step, it warms the connective tissue so I am able to work deeper. I use traditional strokes used in Swedish massage applying a slower and more concentrated strokes that go deep into the muscles. The deeper the work, the deeper the strokes will be applied to the muscle under belly. Stripping or cross fiber friction is involved to loosen up fascia and myofascial adhesion’s. When coming across a nerve entrapment or trigger point the client may feel an uncomfortable pressure, a tingling sensation or tenderness in the area affected. I will then apply deep pressure in the area till the symptom is relieved. This aides in trigger point release. I incorporate other techniques such as myofascial release, myoskeletal therapy or hot stones to release the fascia and muscles. You must remain alert to answer occasional questions from me. During my sessions I always encourage deep breathing when I come across a adhesion. If I feel that you are not breathing properly by holding your breathe I will remind you to slowly breath deeply. By breathing it helps to bring circulation to the area and aides in releasing tension. As I always tell my clients healthy tissue will not hurt if it is pressed on. If it does hurt, there is a underlying issue that needs to be addressed. Deep tissue is not a relaxing massage. Deep tissue is clinical massage therapy to break up adhesion’s, trigger point formations and negative muscle patterns. Little or no massage lotion is applied. This helps the therapist to go deeper into the muscle underbelly to achieve the necessary results to reduce muscle tension. Those that are new to the technique may experience DOMS (delayed onset muscle soreness), mild bruising and some swelling. Communication is vital for a good deep tissue massage. The therapist must ask questions during the massage to make sure the pressure is comfortable or if the client is having referral pain. If you are experiencing excruciating pain, always inform your therapist. Speaking up is extremely important when receiving any form of massage technique. The therapist will adjust the technique. The technique can be watered down to suit your needs. I just want to reiterate my no show and cancellation policy for all returning clients and possible new clients. Apparently there have been some boundary issues that I need to address. For my business to run smoothly I need to be on a schedule. Please respect my time and I shall in return respect yours. When you schedule a appointment in advance make sure that you put it on your calendar. I send out reminders 24 hours in advance so no excuses! If you are bad at keeping advance appointments, please do not make one in advance. You can always call for same day service. That’s what most clients do anyway. Cancellation policy: You must provide a 24-hour notice if you decide to cancel. That means exactly 24 hour turn around from which your appointment was scheduled. Calling me or texting on the same day is no longer acceptable. Exceptions apply if a family emergency occurs or if you are ill. I will give you a few days to reschedule your appointment. If I do not hear back from you in mater of days I will bill you for the session missed. No Show Clients: Clients that forget their scheduled appointment will now be billed for the session missed. No exceptions. I held that appointment time specifically for you. I cannot get someone at the last minute to take your place. Chronic Late Arrivals: If you are more than five minutes late, time will be docked from your session. Late arrivals will no longer have the option of rescheduling. If you are more than 15 minutes late you may take the rest of your scheduled time or you will be billed for the full session. I want to make certain you get 100% of your session time yet I also want to honor the person that is scheduled behind you, too. I do my best to make certain everyone’s session begins on time. Please note: If I do not not have anyone scheduled after you and if you are not frequently late I won’t dock your time. Traffic happens and I understand that. Call me if you are running late and I will make concessions. It is greatly appreciate it. If permitted, I can rework my appointment book and wiggle in some extra time. I cannot do this if you do not give me notice. I have others that need to book appointments too. I need to know when I can schedule the next possible client. New Clients: Arrive ten minutes early to fill out paper work and discuss your medical history. To save a little time, you may print and fill out paper work before hand by going to the web site to retrieve those forms. You appointment time begins on the hour you requested. By showing up extremely late constantly, canceling your appointment at the last minute or by not showing to your appointment tells me you are not ready to work with me. Not only are you cheating yourself but you are cheating others out of valuable time and energy, too. How can you take care of anyone if you cannot take care of yourself? Keep that in mind when you neglect your health routine. When you are ready to work with me you are more than welcome to give me a call. Sorry, I do not need client’s that do not respect my time by no showing, arriving extremely late or constantly canceling appointments. Please contact someone else for services. I am aware things do happen. I am willing to work with you but you have to work with me, too. Life happens but your actions not only affect you they affect others as well. I am setting time aside for you that is uninterrupted and 100% focus is on you. Just remember to tell yourself that you are valuable and that a massage is necessary for your health and well-being. You truly deserve it! Never think otherwise. Cell phones are not permitted in the massage room while a massage is in session. Cell phones are extremely disruptive to the energy flow of the session. Please understand I am a one person business. I work very hard for what I do. I cannot feed my family, pay my rent, liability, insurance, CEU classes and certification if you do not show up to your appointment. Thank you for understanding and I do appreciate your business. One of the more important things that I can contribute is providing insight for the begining massage therapist or anyone that might consider becoming a licensed massage therapist in Texas. As a LMT that has been in business for nearly six years, I have come across some trials and tribulations throughout my career. Through trial and error I would like to share in this blog with you. When I was just beginning as a MT, I did not feel that my school prepared me for the basic essentials of how to maintain my business, the pit falls and other issues that arise. Luckily, I have a back ground in general accounting, web design, copy editing, customer service, sales and management. I knew and networked with other professionals in the industry before I received official training as a MT. I knew what I was getting into before I went to school. Some are not so fortunate. I’ve seen many of my fellow MT’s wipe out in their first year by lack of simple self care or total burn out due to being over worked. I’ve seen multiple businesses fail due to financial reasons. The massage profession is like any other business. You have to put in a lot of hard work, dedication and many hours to achieve your desired goal. You simply cannot sit back and wait for something to happen. It’s your passion that drives you to become who you are – a massage therapist. If you do not have that passion, the drive, the compassion, and the need to help people this profession is not for you. I implore you to find something else that suits you. You will also find a time you will be busy and others times you will be slow. Consider those as a blessing. Down times you can take a little break or a vacation. Focus on other things for your business such as a web site, promotional items and yes, even a blog. There will be times you will love what you do and then hate it. It’s a normal feeling. Like the Journey song says, ” Don’t stop believing.” Keep on going, you can do it. You will have both good and bad times. That is simply a hard fact of life. If you’re a seasoned MT and on the fence about your career look for a support or networking group in your area. It does not have to be exclusively for MT’s. Even your family and friends are important assets for the continued success of your business. By having a network of support this ensures you are not “doing this alone.” Emotional support is one of the key elements for having a successful business. I have much to share with you. If you have any questions feel free to post or follow my blog. The join button is to the right. Always follow your dreams. Dreams turn into reality. What is the one major thing we do from the time we get up in the morning to the time we go to bed? It is one of the most vital of the five senses that we use for interaction with people and things around us everyday. If we fail to receive or give touch, we are denying ourselves a basic human necessity. One of which helps us to thrive. On a day-to-day basis I see people from all walks of life that are touch deficient. Do you realize how many people do not receive touch therapy in our society today? A society deficient of touch is an unhappy society. By being deprived of touch, it may create symptoms of sleep deprivation, depression, anger, irritability, hypersensitivity, learning disabilities and various other medical conditions. Without essential touch we cannot produce necessary chemicals and/or hormones we need to for our bodies to properly function. Endorphin’s which are the bodies natural pain relievers cannot be produced without touch. Did you know by touching someone’s arm that has pain or tension you can relax them? Hugging can release endorphin’s, a natural pain reliever. Oxytocin is hormone the body produces that is considered the “bonding and love” hormone. Oxytocin is released into the bloodstream when we are touched. Studies have shown that the body produces oxytocin along with other endorphin’s when exercising. A recent medical study showed that eight hugs a day increased the health of an individual due to production of oxytocin. What better way to feel good and reduce your pain by hugging someone you love and cherish? You both will receive a great health benefit from hugging everyday. Stress creates havoc on our bodies by producing excessive amounts of cortisol causing weight gain. Touch and massage therapy can help reduce cortisol levels in the blood stream. Another thing to consider is that touch therapy aides in reduction of blood pressure, too. Another example of the power of touch is in early child development. Lack of touch impedes social interaction, creates future behavioral issues and the development of eye and hand coordination. These are vital so that young children may develop properly. The bond between mother and infant is vital within the first three weeks after birth. With the mother and infant relationship, skin on skin contact helps reduce stress levels and lowers depression in the mother. Both mother and child bond more effectively. Skin on skin contact helps to calm the infant and aides the child in restful sleep. Touch is a powerful tool. As we all know through our past experience’s touch can be negative or positive. It’s the intent of one’s touch that wields the power on how they choose to use it. All these things in mind, please consider incorporating massage therapy in your health and wellness plan regularly. One massage a month can make a sufficient difference in your life.